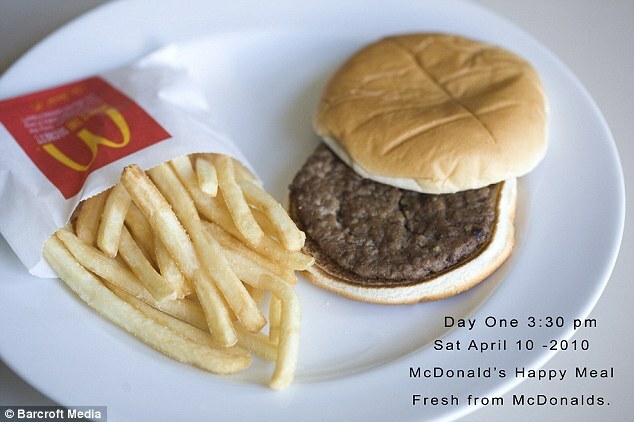 Looking almost as fresh as the day it was bought, this McDonald's Happy Meal is in fact a staggering six months old. 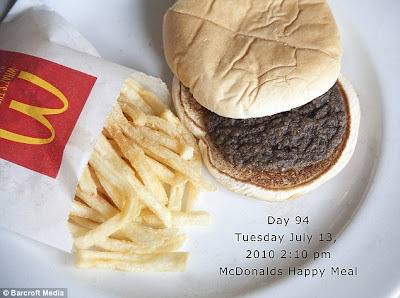 Photographed every day for the past half a year by Manhattan artist Sally Davies the kids meal of fries and burger is without a hint of mould or decay. 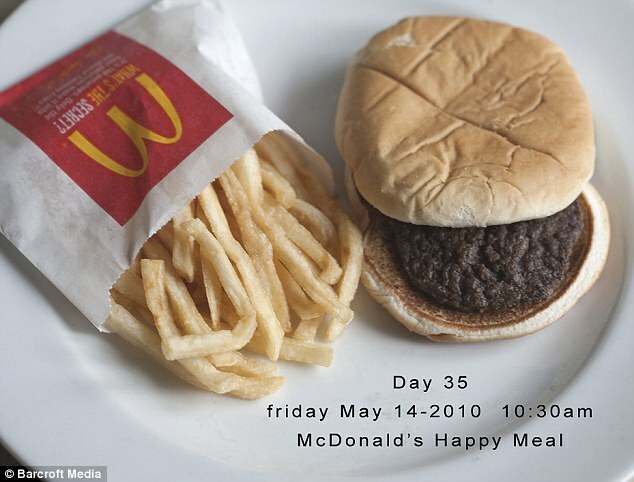 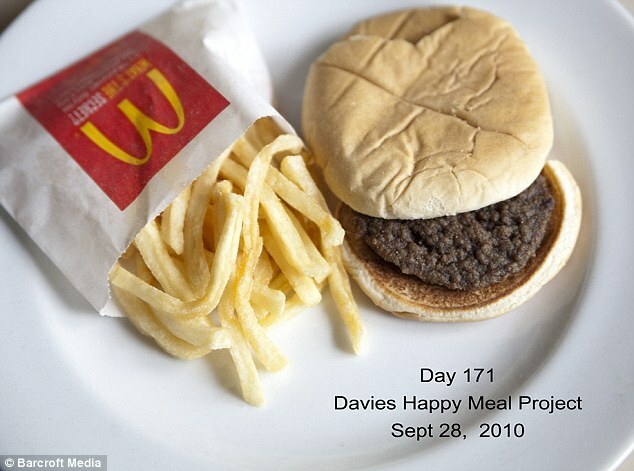 In a work entitled The Happy Meal Project, Mrs Davies, 54, has charted the seemingly indestructible fast food meals progress as it refuses to yield to the forces of nature.